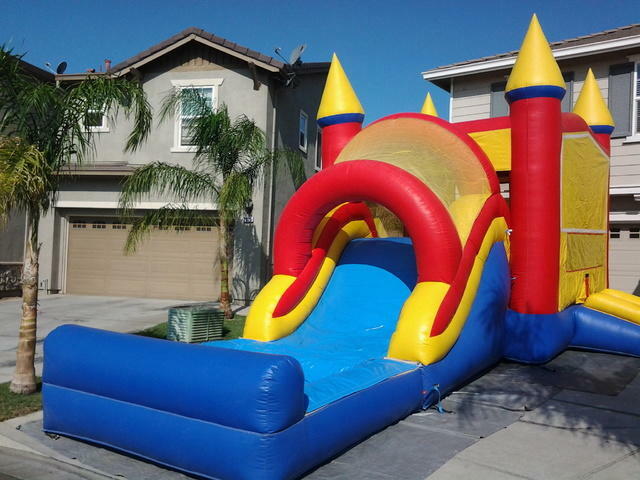 5n1 Combo with waterslide into a pool. 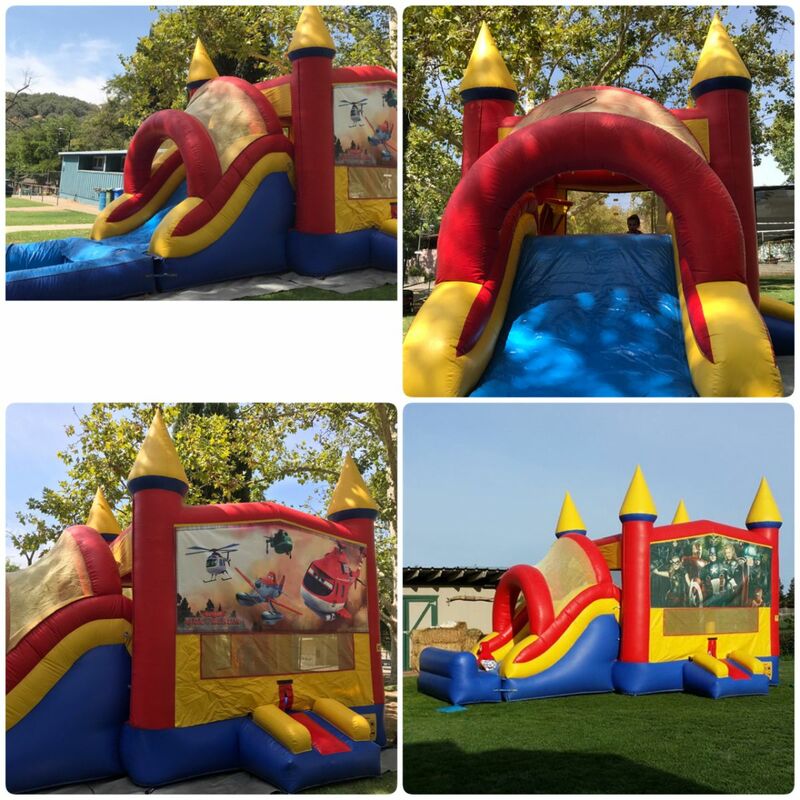 Large 15x15 foot bounce house, slide and basketball hoop. 30 foot long by 16 foot wide.